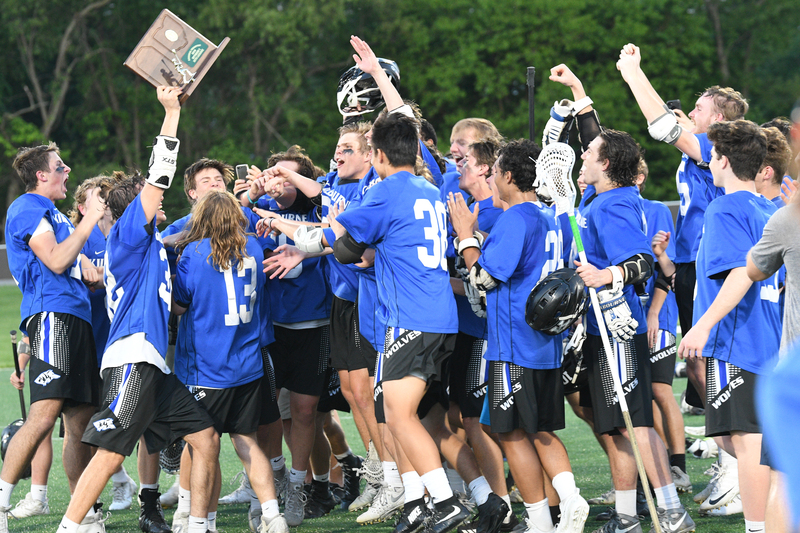 Kilbourne defeated Upper Arlington 8-7 Friday night at The Fortress in Obetz to advance to the OHSAA State Semifinal game. The win is Worthington Kilbourne’s 14th Regional Championship and State “Final Four” appearance in the schools’ 27 years. The Wolves fell behind 0-3 to start the game before scoring 4 straight goals of their own to take the lead. UA answered with a series of goals to take a 6-5 lead at the end of the 3rd quarter. In the 4th quarter, the Wolves would not be denied outscoring UA 3-1. The Wolves clinched the game with a final save and ran out the clock to secure the one goal win. The win avenged a one goal loss to Upper Arlington in the regular season. The Wolves will play Cincinnati St. Xavier in the State Semifinal. The game will be Wednesday May 30th at 7:00pm at Dayton Chaminade Julienne High School. Come support the wolves in the "Final Four"!